Panchakarma is the most definitive mind-body-spirit healing experience for purifying the body, strengthening the immune system, and restoring balance and well-being, re-connecting you with your soul. It is one the most effective healing therapy in Ayurveda Science and Medicine. It promotes Healing, Purification and Rejuvenation. Panchakarma in Sanskrit means “five actions” or “five treatments”, a process that cleans the body of residual toxic materials left by disease and compounded by lack of proper nutrition, and builds immunity against infections. Though the body has the innate ability to efficiently process and remove these foreign materials, including the vitiated (Prakopa) doshas, the modern carefree lifestyle practices dent this. The digestive enzymes, metabolic co-factors, hormones, and agnis which regulate the body’s internal homeostasis become disorganized due to one’s repeated dietary indiscretions, poor exercise patterns, lifestyle, and genetic predisposition. This leads to the accumulation and spread of toxins throughout the physiology resulting in disease. This waste matter is called ama in Ayurveda. Ama is a foul-smelling, sticky, harmful substance that needs to be completely evacuated from the body. Panchakarma removes excess doshas, corrects imbalances and eliminate the harmful ama out of your system through the body’s own organs and pores of elimination (colon, sweat glands, lungs, bladder, urinary tract, stomach, intestines, etc). Panchakarma purifies the tissues at a very deep level. Panchakarma is highly personalized, based on the needs of an individual depending on his constitutional type, doshastatus, age, digestive ability and immune conditions among other factors. Depending on each individual’s needs all or only parts of the five therapies are utilized, and procedures administered in a definite sequence for a specified period of time. And remember. 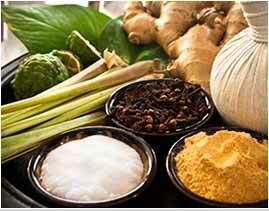 Never undergo a Panchakarma Therapy without consulting a qualified Ayurveda Physician/Vaidya. For, only he can determine your prakriti (constitutional type), and decide on the appropriate therapies in tune with the health issues, if any, that you suffer. It involves daily massages and oil baths, herbal enemas, nasal administrations.AyurVAID Kalmatia recommends Panchakarma as a seasonal treatment for maintaining mental peace, spiritual equilibrium, and physical health.